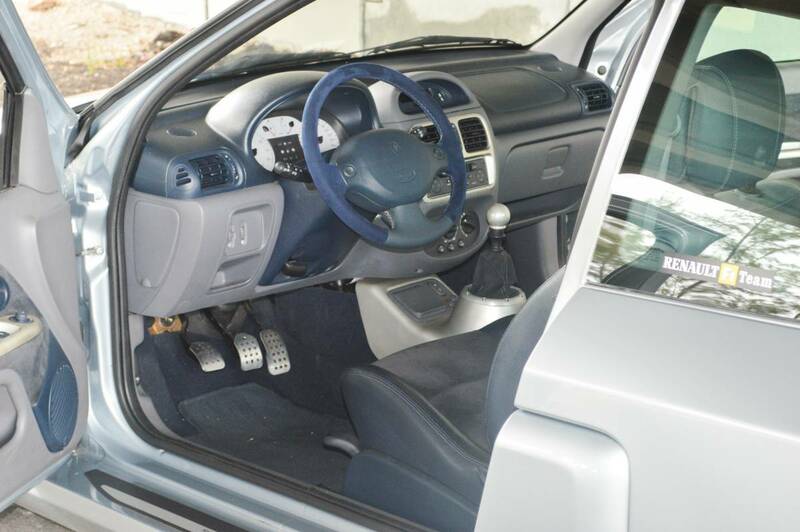 The mid-engine, rear-wheel-drive Renault Clio V6 is one of a kind. Today, when car enthusiasts think "hot hatch," we think of a small engine in the front along with the "go" sent to the front wheels, sometimes to all of the wheels. Back in 2001, Renault flipped that script and produced the Renault Clio V6 Sport. Not only was the Clio V6 Sport powered by a V-6 engine, as its name suggests, but the engine was uniquely rear mid-engine mounted and tied to a manual 6-speed transmission. The V-6 engine was a 3.0-liter power plant good for 247 brake horsepower. 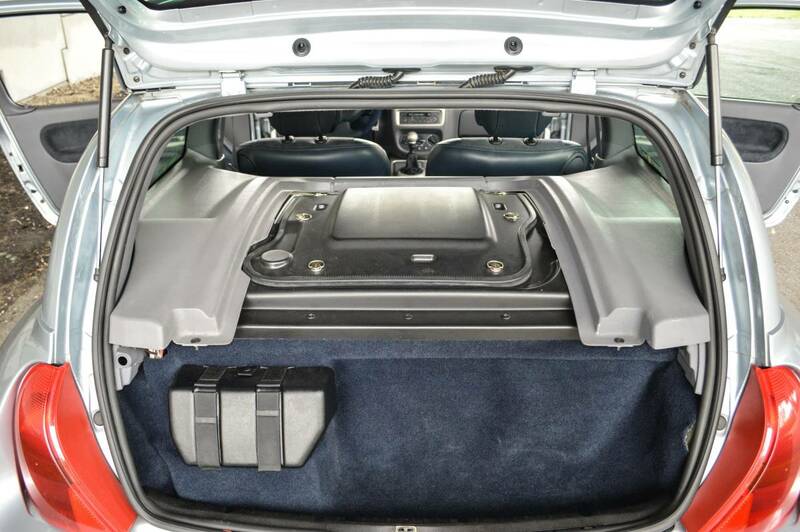 The Clio V6 Sport also put its power down through its rear wheels. The change from front engine, front-wheel-drive to mid-engine, rear-wheel-drive forced significant weight on the car. The added weight was clearly made up with the sound of having a V-6 engine roaring directly behind you while you drive. Mid-engine? YES. RWD? YES. Can you own one in the United States? Why yes you can, but only one. 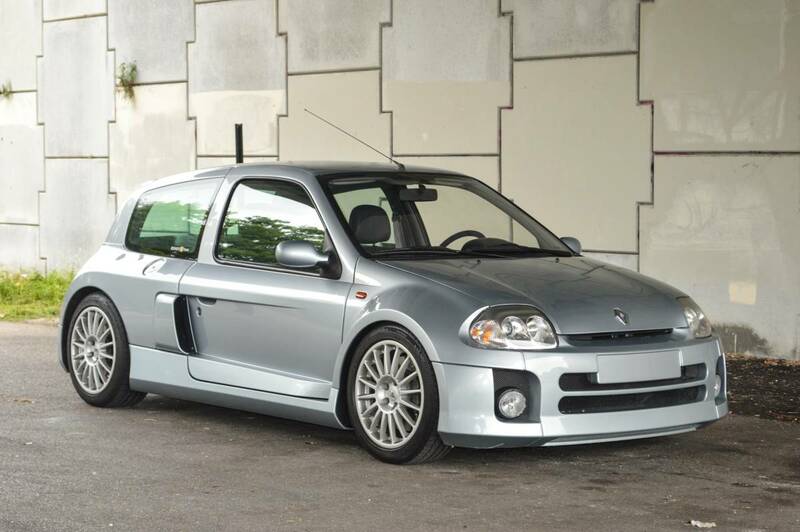 Right now there is a 2003 Clio V6 Sport Phase 1 for sale for $69,000 in Miami, Fla. Phase 1 may sound like the Marvel Cinematic Universe, but it mainly describes who built the cars. There were two phases of the Clio V6. Phase 1 models were built by Tom Walkinshaw Racing and Phase 2 models were built by Renault Sport. This model available for purchase is painted in silver with a blue interior with 18,000 kilometers (about 11,185 miles) on the clock. According to the listing, the car was legally imported around 2010 and registered in La Habra, Calif. in 2011. From there, it was hidden away in a private collection until it made its way to the current seller. The car has been serviced with new coils, spark plugs, fresh fluids, and an AC service. It is currently wrapped in new Michelin Pilot Sport rubber and is equipped with aftermarket coilovers to help the rough ride. The car has a clean Florida title, no surprises there. You seem to be able to register anything in Florida. Someone go buy this thing and live your rally car dreams.